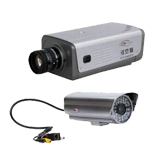 We present to you a range of highly advanced CCTV Cameras for diverse places with diverse features. 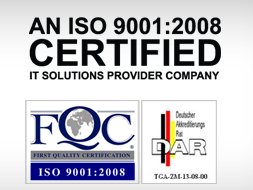 Based in Dubai, we are a renown brand for providing top quality security cameras and monitoring solutions that helps businesses and homes to have their physical environment safe and protected. 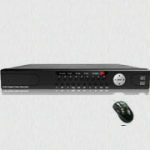 With decades of a rich experience in security surveillance systems and solutions, we can very well identify the specific needs of a business or household. We provide our clients with complete and upfront assessments to design and implement the right CCTV setup in accordance of their unique business needs. At AVI Infosys, we take pride in providing dedicated surveillance cameras to our customers in Dubai. 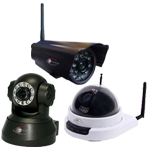 Our team of professionals will provide you with the best advice available and makes sure that you select the most appropriate security cameras for your application. One of our main objectives is to help our customers with the best CCTV surveillance that operates as a profit center for your business. Therefore our team of experts will design and install a surveillance systems that meets your business needs and provides you with the benefits to enhance your profits while protecting you against any potential loss.